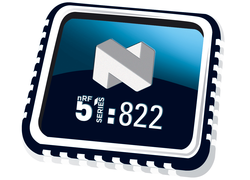 Welcome to the Nordic Semiconductor and mobile application resource section. In this section, you will find various resources to get started developing mobile applications to interact with your Nordic Semiconductor projects using Evothings Studio. Nordic Semiconductor specializes in ultra low-power wireless SoCs (System on Chip) and connectivity devices for the 2.4 Ghz ISM band, with a focus on power performance and cost. Current SoC products incorporate the ARM Cortex-M0 microcontroller core and offer complete ANT™ wireless protocol stacks. Below are a number of resources on our website to support getting started with developing mobile apps using Evothings Studio. Enjoy discovering a new world of possibilities combining your Nordic Semiconductor projects and mobile applications!